This Market Outlook was provided by SVN International Corp. bringing you the latest industry trends, economic outlooks and markets to watch as we head into the second half of 2016. The national multifamily market is experiencing peak levels of new supply as developers, investors, and lenders con­tinue to start new projects in many metros across the na­tion. Thus, this sector, more than any other, is the subject of speculation about the potential for a bubble in pricing or physical oversupply or both. However, demographic data and economic indicators both show an increasing need for apartment units across the nation and new supply is meet­ing new demand. In fact, many markets are prone to under­supply as population and job growth are moving faster than developers can deliver units. The national multifamily market set new all-time record highs in 2015 once more with over $151.7 billion in sales representing a 34% year over year gain, according to Real Capital Analytics®. National cap rates fell below 6% to 5.9% for the lowest average cap rate ever. Gains in both sales volume and lower cap rates were seen in both Garden and Mid/Highrise sub-sectors with 40% and 24% increases over 2014, respectively, and cap rates for the two types averag­ing 6.1% and 5.1%, respectively. The persistently low cap rates are making some investors nervous that pricing could see a reversal if interest rates rise. Thus, it is likely that some of the interest in multifamily acquisitions will move to other property types in 2016; however, multifamily is still poised to have a very good year. 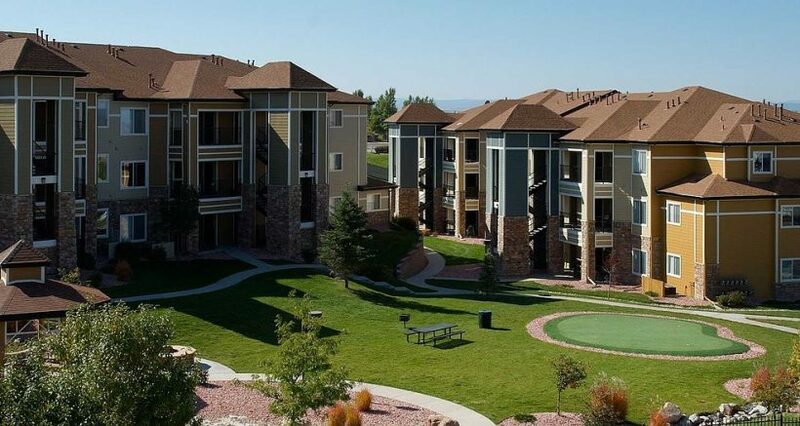 Student housing is another unique form of multifamily that had an amazing 2015. Sales volume was up 70% from 2014 with over $5.4 billion in transactions at an average cap rate of 6.1%. Given the demographic flood of high school grad­uates entering college, this sector is poised to see more growth in 2016 with rising rents and very low vacancies. The performance of multifamily assets will likely remain steady in 2016 as demographics favor renting versus buying. However, as rents grow (which has happened dramatically in some markets) owning will be cheaper and thus demand growth could be tempered. Thus, if a developer can supply units that can be rented at relatively affordable rents, they will likely be able to maintain very high occupancy for the long term. Any downward pressures would be experienced in the expensive Class A products first; however this is not expected to happen in 2016.